A complete A-Z for the full range of treatments we have available at our award-winning clinic. Have you always wished your lips looked plumper? Or perhaps your lips have collapsed with age? 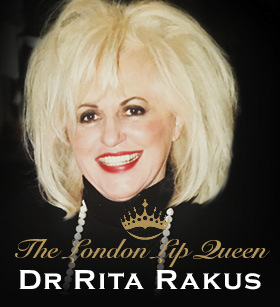 There is no one better placed than ‘The London Lip Queen’ to help with a range of treatments to augment, enhance and rejuvenate your lips. Are wrinkles, sagging skin, jowls and other effects of ageing making you look older than you feel but you don’t want to resort to surgery? Our range of cosmetic treatments can help you turn back the clock and rejuvenate your skin to make you look and feel years younger. Frustrated by hard to shift stubborn fat or sagging skin? Our range of body contouring and tightening treatments can help to reduce fat and give your body a younger and more toned outline. We also offer a non-surgical feminine tightening treatment, laser hair removal, and if you suffer with excessive perspiration we offer a solution that will take your problem away for good. Embarrassed by unsightly skin blemishes such as age spots, thread veins, stretch marks, unsightly pores, acne scarring or pigmentation? We can help with a range of treatments that will reduce blemishes, and rejuvenate your skin. We can also remove unwanted facial hair or excessive body hair to keep your skin looking smooth.